Lucy Eyres, Kathryn Simpson and Samantha West all celebrated. A Plymouth University student has won a top prize in the annual South West Women in Construction (SWWIC) Awards. Lucy Eyres, who is in her final year of MEng (Hons) Civil and Coastal Engineering, won the SWWIC Graduate Award at the group’s final networking event of 2015. She won for producing an outstanding application listing why she wanted to work in construction and why she chose her degree course. Lucy’s win entitles her to financial support throughout her final year of study and an invitation to a number of SWWIC events this year. Kathryn Simpson, who studies BSc (Hons) Construction Management and the Environment at Plymouth University, was named a runner-up. Samantha intends working in the construction industry and intends using the prize money to improve her tool kit. 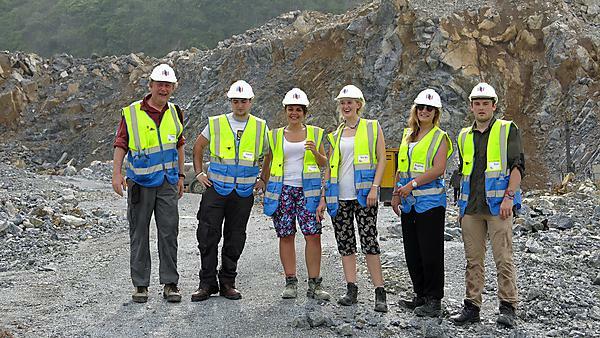 Find out more about how we prepare you for a career in civil engineering.